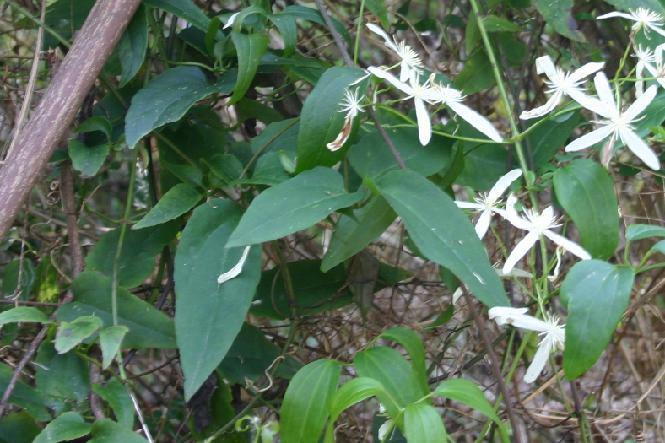 Glossy, thin leaves, divided into 3 leaflets 30-60mm long. Stalks often twisted around other stems. Creamy white 4 tepals with very prominent stamens. Clematis have one unusual feature in that the petals are aborted and the sepals take on the characteristics of petals and are termed tepals. 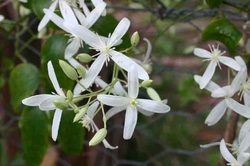 Clematis is a climber found in the coastal and tableland forests of the eastern states of Australia and on the edges of the eastern rainforests. It will climb to very high level (15 m plus) on trees it can also completely cover small trees and shrubs often killing them.Clematis grows best in a partial shade and deep cool soil with natural mulch. 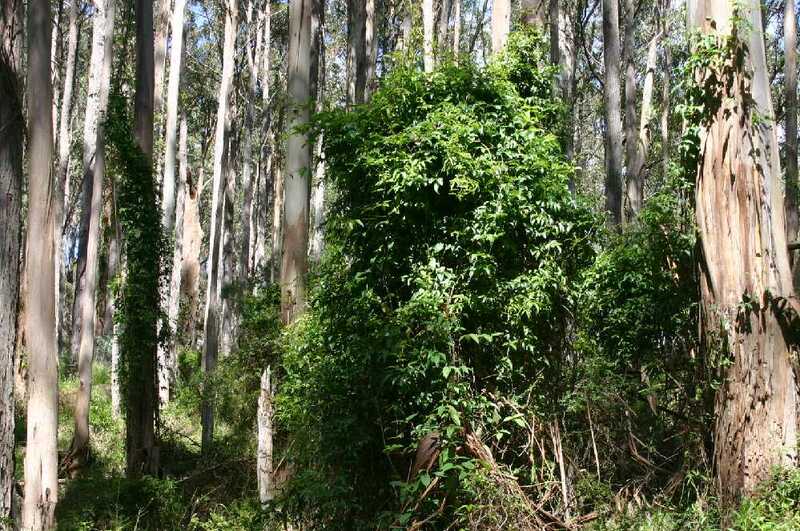 It will grow as a ground cover where there are no adjacent plants to grow up on. 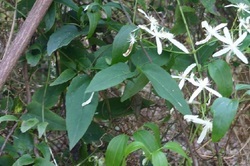 Male & female flowers occur on separate plants (dioecious). 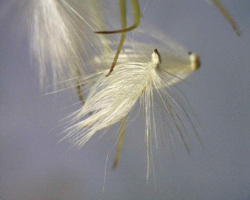 Female flowers are followed by feathery seed heads.The flower is very similar to the Clematis aristata. The aristata has a noticeable anther appendage >1 mm whereas the glycinoides .has either no or very short <1mm anther appendage. The Aristata mature leaf usually has a fully or part toothed edge whereas the Glycinoides leaf is usually untoothed but may occasionally be partly toothed.